iPhone has become one of the world’s leading smartphones and has gained millions of fans around the world. iCloud is already built into some of the most popular applications you are already using. Applications like iTunes, Photo Stream, Documents in the Cloud, Safari, Calendars, Contacts and Mail, Apps, iBooks and more are already integrated into iCloud which makes the transition to iCloud smooth and easy. If you are not interested in retaining an iCloud account, you can delete iCloud Account From iPhone by following the steps outlined below. 2. 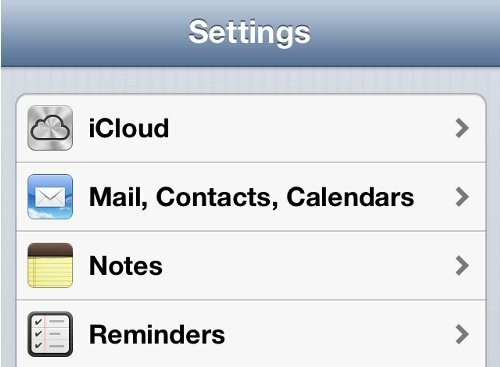 Click on the iCloud option found in the Settings home. 3. The iCloud screen has many granular settings you can toggle. If you want to delete iCloud Account, scroll down and click Delete Account. 4. 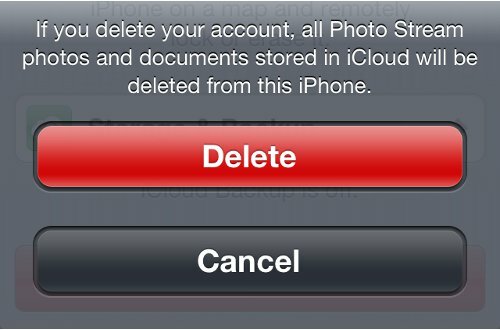 A confirmation window will popup that tells you if you delete your account, all Photo Stream photos and documents stored in iCloud will be deleted from the iPhone. Check to see that all your photos are transferred to your computer before proceeding. Click on Delete to confirm. 5. Now that your iCloud account is deleted, you will be presented with another option of either storing all the iCloud contacts, calendars, reminders and Safari data. 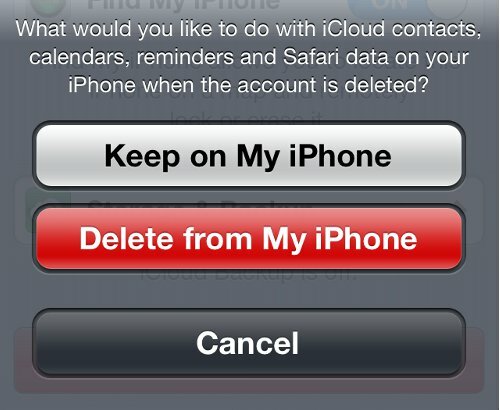 You can Keep on My iPhone, Delete from My iPhone or Cancel. This is an important step as you are recovering data from the iCloud. Click on the option that best suits your needs. 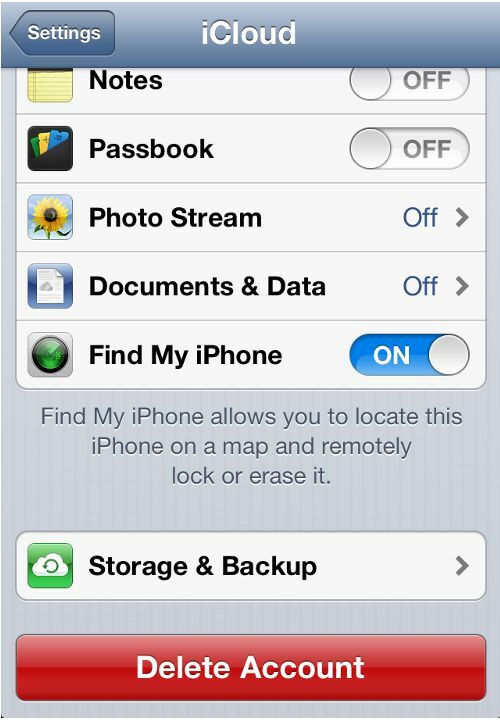 Were you able to delete iCloud Account from iPhone? Do you use iCloud across all devices? What was the reason you deleted the iCloud Account from iPhone? Share your thoughts with our readers below.